A fair assessment is about 3 out of every 4 agents don’t have enough experience and will probably never gain enough experience to develop themselves into the professionals they should become. Many Realtors I talk to hate Bright MLS. They are bound to it legally. I tell you all this as someone who was a licensed Realtor/property manager from 2013 to earlier this year. Of course, if you or your family choose not to manage your properties you may need to use a Realtor, but be prepared to leave a lot of potential money on the table. –My local MLS system, Bright MLS, is a clunky, out-of-date relic that the Realtors must use to list their client’s rental property. As the years have gone by, Realtors have found it more effective to concurrently list on Zillow and Trulia. The Bright MLS system is functionally obsolete when trying to flesh out a fair rent as there are fewer comparables. 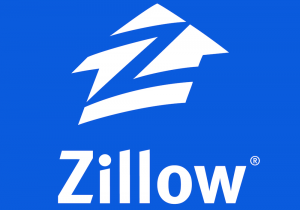 Zillow is much more transparent and there is usually much more data in which to determine what to charge for rent. -If you involve a Realtor agent in any capacity, you may be liable for up to one month’s worth of rent as a commission. You may actually get the tenant on your own, but that doesn’t matter. The Realtor gets his or her money. Since it’s a transaction-based business, the agent only cares about getting paid and will usually present the landlord with the first person who contacts the agent. -The goal of the landlord is to minimize tenant turnover, but the Realtor agent makes more money when there is high tenant turnover. These two objectives often clash. The result is that Realtor leads are less likely to present the landlord with good, long-term tenants. -Desperate Realtors scour Zillow rental listings trying to drum up business. They often present me with non-qualified candidates. 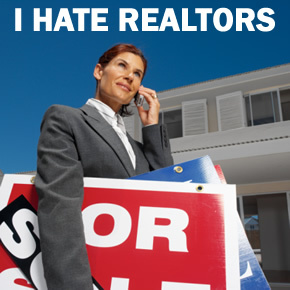 I have learned my lesson and post on my Zillow and Trulia listings that I do not take any Realtor leads. -Realtors are generally responsible for screening the tenant and they may have different criteria than you. The internet has services available for the landlord to more comprehensively screen candidates. My tenants pay for the screening at mysmartmove.com. The fees are nominal and you will be able to view a candidate’s detailed credit and criminal background reports, and discover any prior or current eviction proceedings. –While Realtors generally advertise for the highest market rent available, and that may sound like the right way to maximize revenue, you may not make more money. If your tenants are paying top-of-the-market rent you will have higher turnover, your tenants will be less likely to take care of the premises, and you will receive more repair phone calls. Moreover, the best tenants seems to search for the best deals, because they know they can get them. Keep in mind that the Realtor is taking a chunk of that, so you need to stretch for higher rents when using one. If you locate your own tenants you can save on commissions, pass it along to the tenant and make your management experience a much easier and profitable one. I generally charge 3% to 6% less than what the Realtors would charge, but I save so much more money, time, and aggravation on the back-end. I have less wear and tear on the units, lower turnover, higher quality tenants, and spend much less time with service calls. I have been using Zillow and Trulia for about five years and am completely satisfied with the results. When it comes to managing residential properties the internet is indeed the great equalizer. Placing a rental listing on Zillow is very easy and straightforward. Zillow owns Trulia.com and hotpads.com and when a landlord lists a property on Zillow it is automatically uploaded to Trulia and Hotpads. Once Zillow verifies your ownership of your rental property (it asks a couple questions that only the owner would be able to answer) you are free to advertise as you see fit. You can upload up to 40 photos and can present it in any way you wish. –It’s free and easy to use! It is by far the most popular destination for prospective tenants looking for a great place to rent. These people usually do not want to live in rental apartment buildings. These places usually have higher crime rates and more loud residents. Moreover, rental apartment complexes cater to a transient crowd and many single female tenants feel less safe. –Many qualified tenants do not want to use a Realtor. It is usually much easier to log on to Zillow, Trulia, or Hotpads and see what is available. These sites cater to individual landlords, and while the institutional landlords advertise heavily, many candidates prefer condos and single-family properties. This is where we come in. Many renters prefer condos and single-family houses. They go to Zillow and skip the Realtor and MLS. –It has been my experience that I have always been able to get better qualified tenants through Zillow. In the Greater DC area I usually receive about 50-60 inquiries over a seven-day listing period. Granted, I get a lot of people who do not qualify, but they usually answer the questionnaire before submitting their request. Thus, I can immediately remove at least half from consideration. However, there are usually 4-5 qualified candidates who do request to see the property and in about a week I usually have a new tenant. -Realtor rental listings on MLS can linger for a month or more. The Realtor has no sense of urgency to procure a tenant. Realtors don’t pay the mortgage, but they will get the commission. MLS is almost an anachronism. My experience with Bright MLS has been poor and would never recommend it to anyone. The Realtors are legally forced to use it. Because of Bright MLSs data hoarding and lack of traction, most Realtor listings end up on Zillow anyway. -Zillow and MySmartMove.com offer tenant screening services that are free to the landlord. You get to see a candidate’s credit report and check for any criminal history and prior evictions. These services tap into a national database that makes for simple, quick, and comprehensive background screening. Best of all, these services will actually provide the landlord or property manager with a recommendation. Successfully operating a portfolio of rental properties has never been easier. The internet has definitely made my property management job more manageable. Long gone are the days of placing ads in the Sunday Washington Post or the local military papers. There is absolutely no need to ever use a Realtor or Bright MLS again. They are just stumblingblocks to success. Cut out the middle man and keep more of what you earn. Anyone can succeed being a landlord. I came across this article from Forbes, which explains the problems and shortcomings of the concept of the “petro-yuan.” Just based on the emails my blog receives, I know it is popular to bash and malign the dollar and hope for its collapse (as if that would somehow break us free from the clutches of the NWO), but there are still some very strong structural underpinnings to the dynamic that keeps the US dollar well supported. U.S. Current Account to GDP – The sharp rise in US oil production has lowered the U.S. merchandise trade deficit by $250 billion from what it would have been otherwise. These are very manageable numbers when viewed by the growth of the annual GDP data. Earlier this year, China launched its first crude oil futures contract denominated in its own currency – the yuan. That moment, duly noted via the screens of the Shanghai International Exchange on March 26, 2018, was indeed historic. For prior to it, Beijing had tried and fallen short several times. It experimented with issuing a domestic oil futures contract in 1993, but halted the move due to severe price volatility. Almost two decades later, the idea again gained traction in 2012. After another two years of work, the China Securities Regulatory Commission finally approved the launch in 2014. Many in the commodities world expected the contract to debut in 2015, but a massive Chinese stock market crash put it in limbo. Hence, the March 2018 launch was historic, but mainly for two reasons – firstly, that the Chinese finally got there is in itself a feat. Secondly, as the world’s largest importer of crude oil, and its second-largest consumer, a market impact statement was needed. But going beyond it, the assertion in some quarters that a rising ‘petro-yuan’ could break the stranglehold of the petrodollar is wide off the mark, and by several trillion dollars as it is. The yuan is not yet fully convertible. The currency is fixed daily, subject to state intervention and capital controls, and while it is theoretically possible that China might change this, there is little incentive to do so. Why is this? China would have to begin running systemic current account and trade deficits, which would supply the world with yuan. The ChiCom government’s interventionist monetary policies precludes its ability to let yuan freely leave its borders. The ChiCom regime also understands that it still needs to build its economy as quickly as possible and its export market is still that driving force. 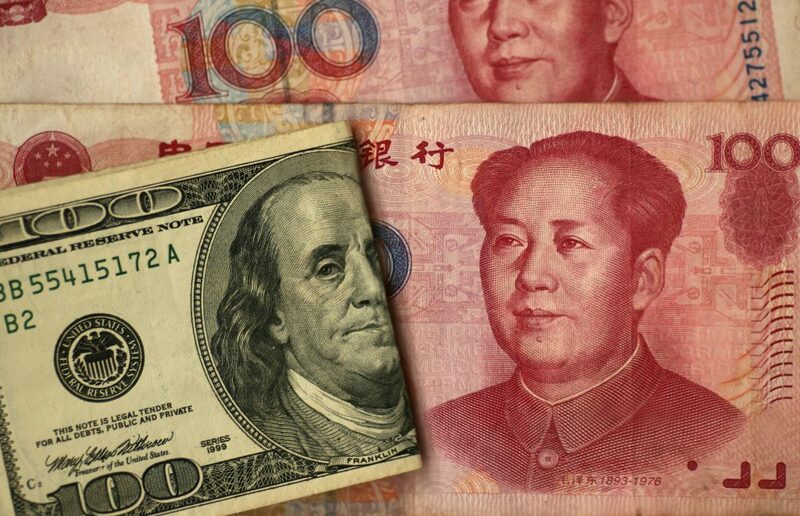 In the absence of such moves to free the yuan from central management, petro-yuan dominance simply cannot be achieved, as many in the trading community would just assume that a yuan-denominated oil benchmark would be firmly under Beijing’s grasp. Let’s now switch tack to who might back an oil contract underpinned by the yuan? Perhaps, only the needy! Iran has shown so much willingness to embrace the yuan, given U.S. President Donald Trump’s unilateral re-imposition of sanctions is aimed at shutting them out of dollar transactions. For Russia, it’s also down to political cravings, albeit of a different nature. China’s oil industry is dominated by three state-owned integrated oil companies. That means, in a complete contrast to the U.S. market, there are fewer independent oil and refining companies, and quite simply fewer domestic hedgers and arbitrage players. Overall, the birth of the petro-yuan was a natural thing for China, given its position in the global oil market. But it will be an uphill struggle for the petro-yuan to dislodge the petrodollar, along with a few trillion dollars worth of catching up to boot too. China’s imports of crude oil hit a fresh monthly high in November, customs data showed on Saturday, beating the record set in October on heavy buying from private refiners and trial starts of new mega-refineries. Crude oil arrivals last month rose 8.5 percent compared with the same month a year ago to 10.43 million barrels per day (bpd), marking the first time China imported more than 10 million bpd. October’s imports were 9.61 million bpd. For the first 11 months, China imported 418.11 million tonnes of foreign crude oil, or 9.17 million bpd, putting it on track to make this year a record high for imports. China is now the world’s largest importer of oil, and yet 70% of all oil transactions involve the US dollar. The yuan-denominated oil futures contract is still open primarily to domestic traders, thus it is still subject to central government management. 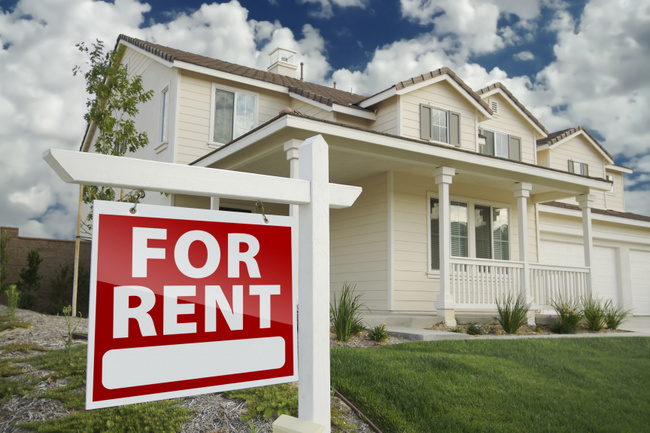 As the housing market cools down in many areas of the developed world and recession fears rise, many overlook the benefits of rental property ownership. But I believe that rents, especially for single-family properties, will remain firm, and that any prolonged price drops will provide an auspicious time to start or add to a rental portfolio. In the United States, declines in residential-construction activity and rising interest rates are expected to compound historic housing shortages, pricing an increasing number of Americans out of the market. Meanwhile, reduced mortgage-interest deductions and new caps on state and local tax deductions have reduced incentives for Americans to own homes. Keep in mind that rental properties normally do not have these new deduction limits and that virtually all your costs are subtracted from your rental income. The IRC changes over the past couple years have largely left rental property investors unscathed. One way to prepare yourself for the inevitable bust in the financial markets is by considering investing in real estate. During the last housing bust I found little competition as most potential investors were not prepared to take advantage of the great deals. Most of them were over-leveraged when the downturn came. The typical investor usually thinks of stocks, mutual funds, bonds, life insurance and other traditional investment strategies, because the media train us to concentrate on them. Real estate often doesn’t come into play. So, how could rental properties protect us if a recession occurs? Owning a home can be expensive to those who are not prepared to deal with repairs and other costs. Many people can no longer afford to own their own home. 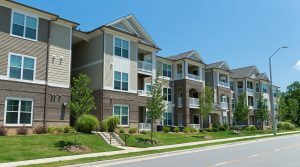 Buy-and-hold investors benefit in many ways and the IRS tax code (IRC) gives these landlords some amazing tax incentives to keep owning and buying. In fact, I find the IRC to be so accommodating to real estate investors that I take a straightforward, conservative approach to filing tax returns and I still keep much of what I earn. 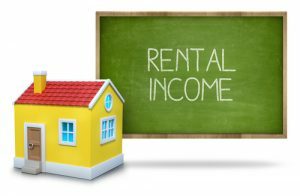 Rental income may be considered passive income and this type of income does not have the usual payroll taxes deducted. Owning rental properties is essentially like running a personal business, but without the headache of customers. You have much more autonomy with your life and how you run your rental business. Rental demand increases in a recession. Everyone needs a place to live. If the market crashes, loans are harder to attain. Therefore, rental demand increases. Since 2006, renting households increased in 50 of the largest metro areas in the United States. Single-family properties have greater appeal. If people are losing their homes because of foreclosures, they are more likely to move into single-family home rentals versus larger apartment complexes. While other investments may be suffering, rental real estate may be stable, and over the longer-term your cash flow will increase. Your mortgage paydown provides you with more ammunition to use when the next housing bust occurs. Most Americans have some form of a 401(k) or IRA, which helps them invest in various mutual funds, stocks and more. During a stock market crash, many stand to lose a lot of money. A way to protect yourself is to diversify into other investments that may not be as affected by the stock market — in this case, real estate. I normally stick to working-class neighborhood housing stock. This sector is the bread-and-butter of the housing market. Zoning restrictions and economic constraints will keep a floor under the prices of these properties. 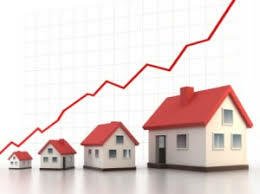 I cannot guarantee that the prices of higher-end housing and commercial residential properties, such as apartment buildings, will maintain their value in a protracted economic recession. During these financially and spiritually difficult times we need to separate ourselves from the crowd and work to become more financially self-sovereign. If you are like I am and have no discerning skill set, you may find rental property investing as an escape hatch. It takes work and knowledge and when I started out in real estate 18 years ago I never owned any properties, as I was one of the many renters making another person wealthy. It starts with the first step. Early last decade, when I ran out of funds to invest, I liquidated my IRA and retirement plan to buy more properties. I was glad I did as I made much more money and built a higher net worth than if I let the mutual fund companies manage my money. Note: I lived in Albuquerque and Southern Colorado for several years and know first hand how large the oil exploration and drilling business has become in that wider area. It is clearly evident that the earth generates petroleum abiotically and not biotically. In other words, the vast majority of oil extracted is the result of spontaneous chemical reactions within the earth’s crust and not from the residue of previously living matter. Think of all the oil ever consumed and in reserves; there has never been this much living matter in existence, let alone enough for the amount needed to form all of the oil that has been and continues to be extracted. Despite the scare tactics of the NWO, we will never run out of oil and natural gas. “Christmas came a few weeks early this year,” Secretary of the Interior Ryan Zinke said of the new reserve, which is believed to have enough energy to fuel the U.S. for nearly seven years. These numbers are simply staggering. Moreover, these potential reserves should be commercially feasible and could potentially make the United States the world’s largest energy powerhouse for decades to come. The US is already the world’s largest energy and oil producer, but these numbers will help to put distance between it and Russia and Saudi Arabia. When global conflict and economic collapse comes all those who made poor investment and financial decisions can get jobs at the civilian inmate labor facilities in the oil patch. Put another stake in the heart of the term petrodollar. Long live the dollar. “It seems EIA (US Energy Information Administration) has a habit of sending bad news to OPEC during its Vienna meetings. In the past, it has been surging U.S. production numbers. But this time was truly remarkable and historic showing data for net crude imports as -211,000 bpd,” said Joe McMonigle, analyst at Hedgeye in Washington. Think about how quickly the oil production of the United States has grown over the past decade. According the the EIA, US oil production has more than doubled since 2008. That is an astounding figure and the US is now the world’s largest energy and oil producer. Never count out the US. The alt-financial media, contaminated with their hard-wired contempt of the US and the dollar, will proclaim that the deep state collapsed oil prices this decade to punish Russia. I say that the domestic oil drillers and producers pursued advanced technologies and did the dirty work for the NWO. Russia has the oil reserves, but their economy is a corrupt, centrally-managed, one-legged stool, and is overly dependent on oil. They only have themselves to blame for their economic malaise. Think about this logic contradiction. How can the elites be losing control of the markets yet work to systematically collapse oil prices to hurt Russia’s economic engine? Both cannot be right. People who believe both thoughts to be true deserve to continue to lose money on their investments and trades. I wish the alt-financial media would stop using the term petrodollar once and for all. It really shows their lack of financial market skill. If the US Treasury yield curve is managed, should we be concerned about yield inversion? As yields on longer-dated US Treasuries continue to converge with the yields on shorter-term bills and notes, there has been rising concern in the mainstream business and alt-financial media of an impending recession or protracted economic downturn. There is a high positive correlation between yield inversion and recession. But with a managed yield curve will it turn out the same next time? So what if it does? Much has recently been written about the tightening spread between the 10-year US Treasury and the two-year UST. In my weekly podcasts I point to it as a noted measure and under traditional circumstances converging yields could be considered a cause for concern. Indeed, the above chart illustrates a strong connection between yield inversion and imminent recession. It looks like we are getting close to another point in time that is raising red flags. Could a potential yield inversion be pointing to another recession? The answer is “maybe” as we must consider the current set of monetary policy circumstances. What if the yield curve is managed to the point that any potential yield inversions are just red herrings? What if this has lost all significance? The US Fed has been publicly discussing their desire to raise short-term borrowing rates, so that it can manage any nascent inflationary pressures and remain ahead of the curve. Moreover, the Fed understands that when any economic downturn does present itself it is incumbent for it to be able to lower the Fed funds rate to help stimulate credit growth and economic activity. We must also acknowledge that it is vital that longer-dated US Treasury yields remain low, so that the US government can remain in business. I have pointed out in prior analysis that as far back as the late 1990s, the US Treasury and Fed were collaborating and conducting research towards their objective of suppressing US Treasury yields as debt levels became untenable. Some of their findings have since been implemented (e.g. quantitative easing). So, logically speaking, it may be safe to say that current yields along the curve may not accurately reflect the inflation, duration, default, and opportunity cost risks. Perhaps yield inversions may present themselves as false alarms. What if the traditional Fed policy tools no longer work? 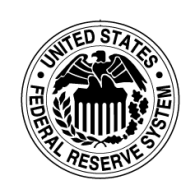 The crediting of interest on reserves held at the Fed to member banks. Under traditional circumstances all four affect the amount of funds in the banking system. Consider a set of circumstances where debt levels are unsustainable versus the size of the economy. What happens when traditional monetary policy no longer works in a centrally-managed economy like in the U.S.? What happens to the interest rate regime when zero or positive rates no longer work? How do we stay solvent in such an environment? How do we survive in a regime of negative nominal interest rates? 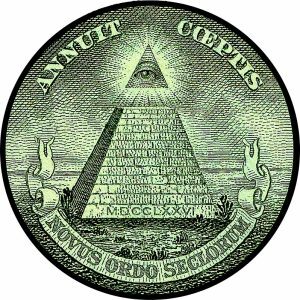 Based on my observations it is evident that a primary objective of the promoters of our monetary system is to keep the national governments in business for as long as possible. Thus, we can never underestimate the ability of the central banks to keep this system together for much longer than we can anticipate. Our financial well-being will depend on how we respond to the inevitable. The 90% of the population who don’t plan will lose. The 10% who are positioned correctly will benefit. What was once novel will become more accepted. When confronted with the next prolonged economic crisis the US Fed will likely embark upon expanded quantitative easing programs. Its purchases could include businesses, land, corporate and municipal debt, residential and commercial real estate, and infrastructure. It will also institute a program of negative Fed funds rates for the first time. Moreover, as any economic downturn deepens I can see a scenario where a regime of negative intermediate interest rates becomes more likely. Denmark: The land of negative rates. Household net worth is at all-time highs, but disparities widen. In order to achieve these ends the monetary authorities will continue to conjure up new and novel programs to help manage sovereign yields and handle debt levels. The calls of economic calamity only help to accelerate this agenda. The winners: Those with cash and underlevered assets when the downturn occurs, Real estate holders, owners of assets in which the prices are based on discounted cash flows (e.g. stocks, private businesses, rental properties, higher-yielding investment-grade bonds), and governments all win. Borrowers benefit the most from low to negative interest rates. Governments can crowd out many sectors of the economy by accessing cheap credit. As debt levels mount and social spending ostensibly becomes more painless, asset prices will continue to climb. The economic demographic disparities will continue to widen. Recall that sovereign debt securities can be considered leverageable instruments that can be used as collateral. The losers: We all lose if the governments can continue to borrow without restraint, but some lose more than others. All wage earners, savers, overlevered investors as we enter the downturn, consumers who cannot access the credit markets, and conservative investors will lose out. Negative interest rates are toxic to these people. Though some banks may not actually debit a monthly amount based on a negative rate, they have circumvented that actual deduction by increasing fees on deposit accounts. Fees basically amount to a negative interest rate. If you pay a $60 annual fee (or $5 monthly maintenance fee) on your deposit account, and you hold an average of $2,000 in that account, it’s the equivalent of paying a negative 3% interest rate. Those with the assets will continue to benefit at the expense of the wage earner. If inflation ebbs and we enter a period of deflation, asset prices could continue to escalate while wages fade. The social and income divides will widen. Asset owners will probably view a land of negative nominal interest rates as a good thing, while the wage earner will view a prolonged period of negative rates as the black horse of Revelation. The economy may roll over, but the asset markets may continue to climb. I have uploaded a market update for December 4, 2018. Click here to go to the show archives page to listen or you can listen on the link below. You can also right mouse click here to download the podcast. -Recall our conversations about the historically stretched short trades in the Gold and 10-year UST futures contracts. Most did not make money. By default, it pays to take the contra side when sentiment is that lopsided. Sometimes it takes time to be proven right. -Much of the recent changes in the UST yield curve stem from the ostensible shift in US Fed policy, not any tariff talk. The Fed’s intimation of a more dovish approach has been the catalyst for yields on the longer end to fall. Much of the proposed Fed fund rate increases are already reflected in the short-end. I would not get too caught up in yield inversions and what they mean. When everyone else is studying them they lose their significance. -The drop in yields should help relieve the emerging market pressures. Never underestimate the elites’ ability of keeping things going. -Commodities got a lift since Wednesday when Powell spoke. Will it fade? -The USD has been supported in the wake of the trade talks as much of the excitement has waned. Trump is beginning his tweet storms again, undermining the hope of a trade breakthrough. -Stocks give back most of the trade talk pop. Weak shorts buy back into the excitement. -I continue to stay in cash. The whipsaw is not worth it. -Bitcoin investors are beginning to realize they made a mistake. I have been combing the crypto shill websites and social media and their tune is changing slightly. I am spotting contrition and regret. These observations are necessary to help locate a market bottom (we are not there yet). I have uploaded a market update for December 2, 2018. Click here to go to the show archives page to listen and look at the relevant links or you can listen on the link below. You can also Right mouse click here to download the podcast. -A trendless stock market that should be kept in perspective. The Chinese/US trade talks this weekend were a wash and should not greatly affect early week stock trading, though we could see a small bounce. -Bond analysis. Mortgage rates look supportive as they are now fully below 5% again. -Oil and XOP analysis with price points and technical analysis. My thoughts on where we could end up in the near future. -Why do the oil drillers and miners issue shares after catastrophe strikes? Are they that short-sighted? -Gold and silver analysis. Silver support levels. -Housing and real estate. Let’s not get too caught up in analyzing new home sales as these markets are highly managed. Working-class housing is in high demand. I get several phone calls and letters a week from investors asking me to accept all-cash offers. These investors were nowhere to be found early in the decade. -I am contemplating new real estate purchases. Where I recommend. -The bitcoin investor consensus is still too bullish, despite the $2,000+ drop. -Jerome Powell wasn’t as dovish as many think, but there was a relief rally in stocks as the shorts were forced to cover. I have uploaded a podcast for December 1, 2018. Click here to go to the show archives page to listen and look at the relevant links or you can listen on the link below. You can also right mouse click here to download the podcast. -Taking the contra; the most skilled are the most likely to underestimate their knowledge and assume that others are on the same level and that they will grasp ideas easily once told. -The most skilled financial analysts and economists are too busy making money to blog on the alt-financial media for free. -The same recommendations have been dispensed since the early 90’s. These people conveniently overlook their past errors in judgment. -I cannot use the argument from incredulity bias as a basis for my analysis and predictions, but the promoted financial analysts in the alt-media beg to differ. -A person who employs the argument from incredulity bias shows a profound lack of understanding of the subject matter. -I do not disagree with much of the alt-media analysis of the Federal Reserve. My only contention with the prevailing lot of unskilled alt-financial analysts is my conclusion that the elites have a firm control over the financial system. -The prospect of collapse and loss of control are just illusions designed for conflict and future change. The future changes will, of course, benefit those at the top and those with the income-generating assets. -Future changes to the economic system will adversely impact the alt-financial media followers the most. -Alex Jones is still pumping out his partisan politics. It is worse than ever. -The financial analysts on GCN only parrot the controlled patriot party line.